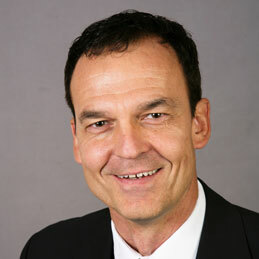 Fred has over 20 years experience as an international training consultant in management and sales. In addition, his goalkeeper coaching skills in the super league professional football clubs in Switzerland (Super League) gives Fred first class abilities in “bringing the best out of people! Therefore, when working with your sales teams, you can expect bringing together the best of both worlds and development of top performance. Fred is also the co-owner of a KMU-Company in B2B business, giving him practical understanding of hands-on entrepreneurship. Clients: Ford, Mercedes, Toyota, Volvo-Trucks,Ernst & Young, KPMG, AIG Private Bank, Credit-Suisse, UBS, Swisscom, Bristol-Myers Squibb, Johnson & Johnson, Medtronic, Pfizer, Henkel. Personal: Passionate about football and golf, and plays both to stay fit and active.